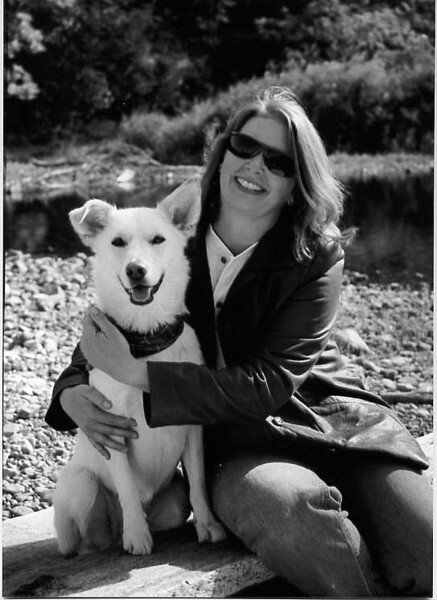 Ann MacLean has been training dogs for over 12 years, when she first started in Agility. It started out innocent enough, her dogs, then friends’ dogs ... and now Flying Tails Dog Training. Ann teaches foundation skills for life and sport, as well as higher level agility handling and obstacle performance. Ann continues to develop her knowledge base in leaps and bounds, so to bark. She has trained with the best, Susan Garrett and Linda Orton-Hill of Say Yes, as well as Greg and Laura Derrett, Adrian Royackers, and Lauren Langman. Most recently, she has had the pleasure to train with Jess Martin, Tracy Sklenar and Anthony Clarke. Ann’s goal for Flying Tails is to pass on to others her knowledge and experience in a fun, productive learning environment. Her analytical eye keenly monitors each team to improve their unique handling style with consistency and fluidity, no matter what their level. In order to give more one on one time, Ann enjoys teaching small groups (Flying High workshops) and privates (1 to 4 Flying Lessons) the best. She also promotes the use of training plans and video analysis, off-the-field tools that can greatly assist the progress of each individual team. Plus she uses positive training methods & techniques only!!! An engineer by degree, Ann works as a Project Director for DND during the day. As a result, she has exceptional organizational and well-honed presentation skills. She strives to run dynamic, interactive seminars and classes that motivate, educate and positively develop the dog-handler partnership. "Enjoy the Ride ... Fly in the Moment"